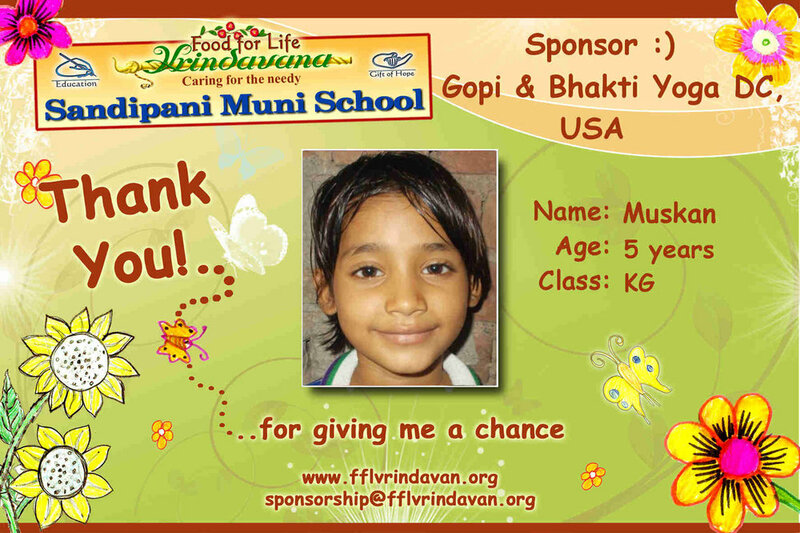 BYDC is the proud sponsor of Muskan, a student at Sandipani Muni School in Vrindavan, India. The school is run by Food for Life, a charity organization dedicated to serving the poorest of the poor in one of India’s most sacred pilgrimage sites. Gopi has long sponsored students at this school. The school has a special focus on educating girls from poor families, who often marry in adolescence because if their parents cannot afford to keep them in school, they will have no way to earn a living of their own. Thus, they remain trapped in poverty. But at Sandipani Muni School, the girls get a quality education, nourishing meals, access to medical care and much more, all free of charge. Many graduates have gone on to earn college degrees. Muskan is the youngest of seven sisters in a family that has seen more than its share of struggles. Jayati, the oldest sister, left school in 6th grade, and the parents and other five sisters have never had an opportunity to be educated at all. The mother works as a house cleaner, and the father’s abuse of alcohol has led him to mistreat and neglect his family. Muskan and her oldest sister Jayati are living an hour away from the rest of their family in a rented room so Muskan has a chance to complete her education and break her family’s cycle of poverty for good. 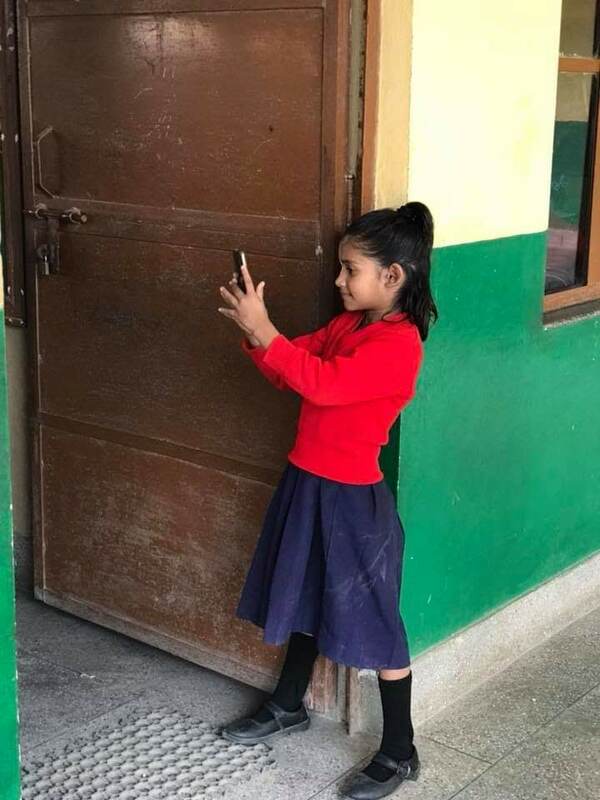 This is a lot of responsibility for a little girl, so BYDC is sharing the burden, taking on Muskan’s tuition fees for as long as she stays in school. We hold fundraisers from time to time, such as on Thanksgiving Day and at our monthly Women’s Healing Circles, to let the whole community contribute to her scholarship fund. Gopi, Braja and students from the studio have had the opportunity to meet Muskan and spend time with her when visiting Vrindavan. She is an endearing, enthusiastic and bright child. Her second grade teachers report that she is an intelligent student and friendly and cooperative with her classmates. We’re so proud to hear it! Please keep Muskan and her family in your hearts and prayers! We look forward to following her progress. For more information on Sandipani Muni and other programs run by Food for Life, please visit their website.